We can help various facilities and healthcare organizations to achieve their clinical trial goals at the least cost and the shortest time possible without compromising quality. TPKR Scientifics facilitates clinical research studies in this area using state-of-the-art equipment and facilities. We have scientific experts with the experience and competence to conduct, monitor and regulate the processes involved in Bio-Pharmaceutical Development. We use a variety of technologies and methodologies in the development and validation of Biologic Assays. Because this often involves in vivo or in vitro processes, we apply the utmost care in the facilitation of clinical research studies. TPKR Scientifics designs studies to help produce the comparative information that will be referred to by decision-makers in the pharmaceutical or medical industry; often when developing new products, how to market them and other commercialization aspects of the healthcare product. A lot of work is involved even before a clinical trial begins. TPKR Scientifics first identifies the optimum sites for clinical research, set performance metrics, plan strategies for implementation, and establish timelines for deliverables. As much as possible, we will practice economy as far as costs for clinical research is concerned but without compromising the quality standards for a successful clinical trial. In the actual clinical research, TPKR Scientifics assigns competent project managers who are directly responsible for data collection, feasibility analysis, project timeline management and post-clinical research evaluations. With the leadership of our high-caliber staff, we align ourselves to meet your specific clinical research objectives from the start. TPKR Scientifics aims to find the clinical trial participants through enhanced enrollment strategies that meet timeline requirements for our clients. 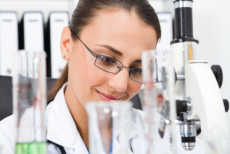 We will oversee the clinical trials from phase to phase until conclusive results are achieved. Even after a drug is already commercially distributed, there are still side-effects to monitor in patients who use them. The task of pharmacovigilance is not only to protect the drug manufacturer’s reputation but more importantly, it promotes the welfare of the patients who use the drug. We vigilantly monitor, collect relevant data and determine potential drug development/manufacturing adjustments to reduce overall adverse effects and promote realistic, sustainable treatment for patients. Every day is an opportunity to make healthcare even better and more advanced than it is today. TPKR Scientifics initiates these developments with the cooperation of public and private institutions. If you would like to learn more about our services, please call 210-723-2004.